Last week I went out to activate two nature parks in the south of The Netherlands. Both had been activated once before but not by me yet. 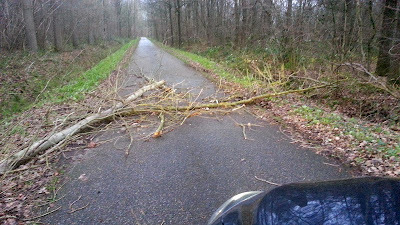 When I uploaded the logs in the evening I found out that this brought my total number of activated (different) nature reserves on 44. This is a magic number in the flora & fauna program. This time the activity was not as straight forward as usually as we had stormy weather with very strong gusts of wind. The picture above shows you what the roads looked like on my way into the reserve. 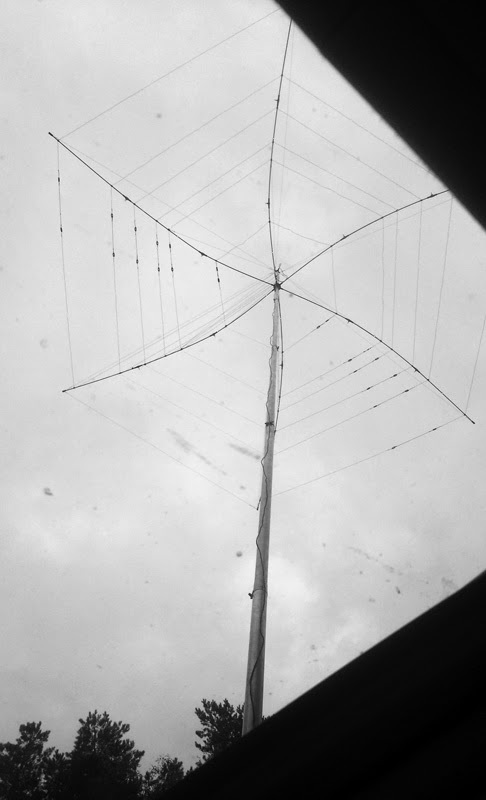 For some reason though the antenna wires remained on the fiberglass mast even though it was rocking and bending like crazy. 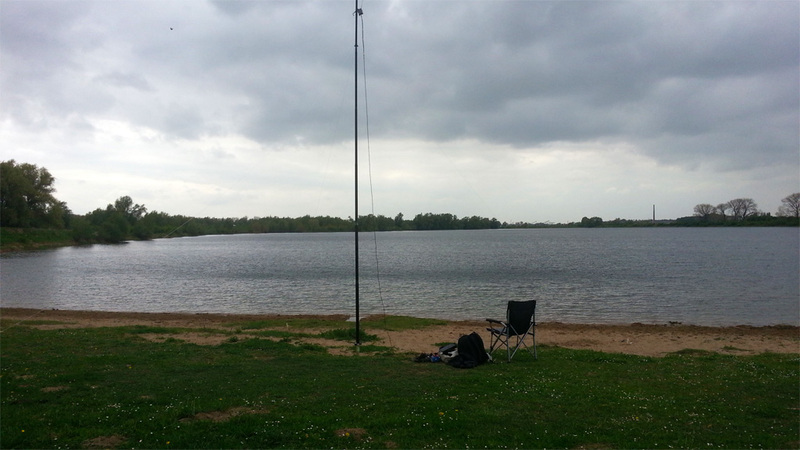 I started out in PAFF-049 (Mortelen) on 40m. There was a lot of activity on that band. 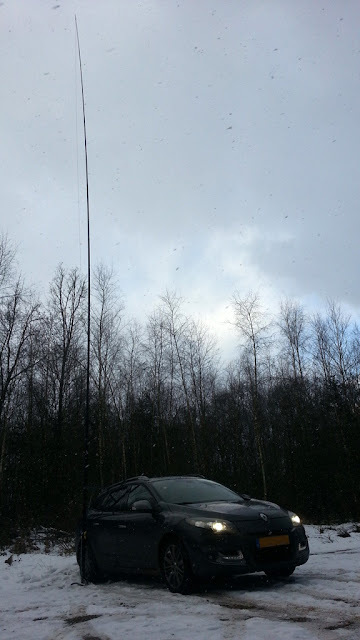 Then I went up to 20m for again quite a bit of activity. Around noon it was time to pack up and head for the nearby PAFF-059 (Kampina). 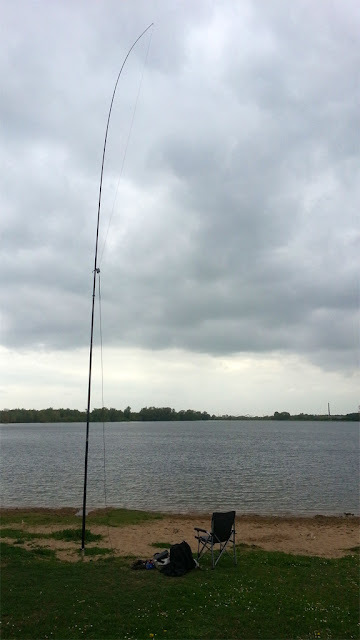 There I was active mainly on 20m and 40m again. I tried the higher bands but found (almost) no activity there. Conditions were poor with almost no DX in the log (except for Bill W1OW who always seems to make it across the pond and a few R9 and 4Z). In the end I did log 280 calls that day - not a bad result especially considering the lousy propagations. I met a lot of familiar people including a lot of the WWFF team members. Tomorrow Monday December 30 I will be going out again. This time I plan to head into PAFF-063 (Rijk van Nijmegen). 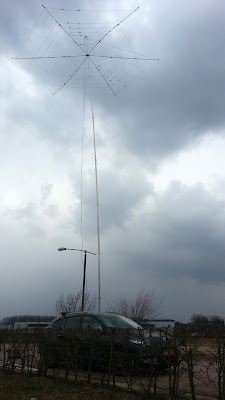 I am going to take my hexbeam with me to hopefully work a bit more DX - if I find a suitable place between the trees to set it up and if the wind is not too strong (they forecast stormy conditions again). After a period of far too much distraction from work I have planned two days for /P activities during the holidays: Tuesday December 24 and Monday December 30. This Tuesday I expect to be able to activate two nature reserves that are part of the PAFF program (PAFF-049 and PAFF-059). The weather forecast is not good with stormy wind and rain but I assume I will be able to set up the wire antennas. Wednesday morning is my morning off with the kids at school and usually no pressing work issues (if I plan well). This week Wednesday I did not plan to go out as it was supposed to be windy and as I already had a fair share of DX last weekend. 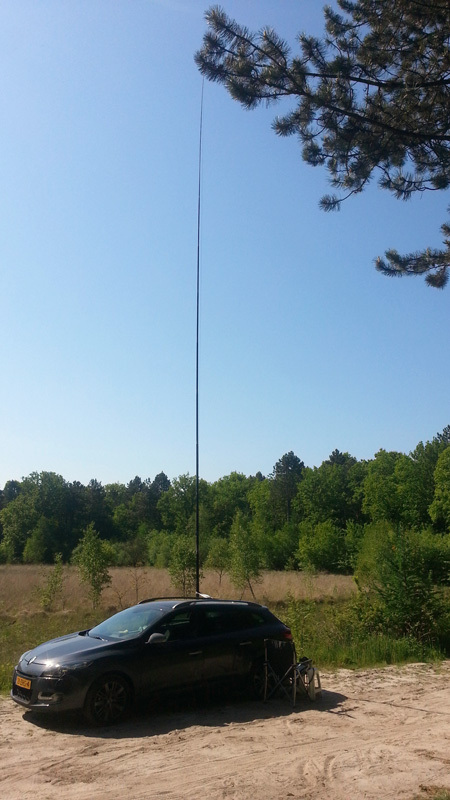 When I came home from doing the groceries however I saw interesting spots including E5 and FO5 on 20m. So I decided to pack all my stuff and see if I could catch one of those. Of course because of the lousy planning I forgot one item - a support pole that keeps the mast in place. Using some ropes I was able to steady the mast holding my hexbeam just enough (although it rocked heavily). So I gave up on this DXCC for today. Then I tried to find the E5 station. I found it quite strong on 15m just finishing a QSO with a G* station only using 40 watts. So that meant I had a very reasonable chance to work the DX. Well. Not a very good outcome for all the hassle. To cheer myself up I called a VK2 and had a short QSO with him. 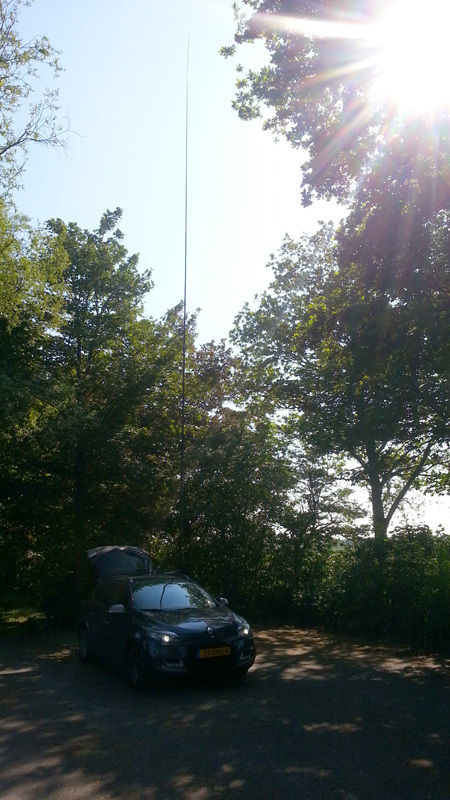 Then I started calling CQ on 20m with the antenna pointing to VK/ZL long path. Maurizio IZ0ARL came by while he was activating a WWFF location. Very kind of him to give me a call (usual procedure would be the other way around). 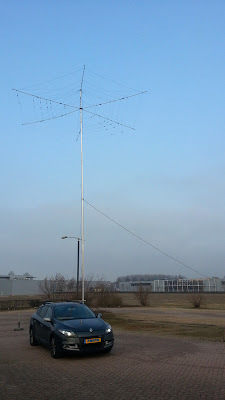 I did not get any other replies so I went up to 15m and pointed the antenna towards JA - as I saw a couple of spots indicating the band was open to JA. I stayed on my frequency for 45 minutes greeting 14 OMs from JA and 3 from UA9. To my surprise I was also visited by DS (new band) and.. FK8. 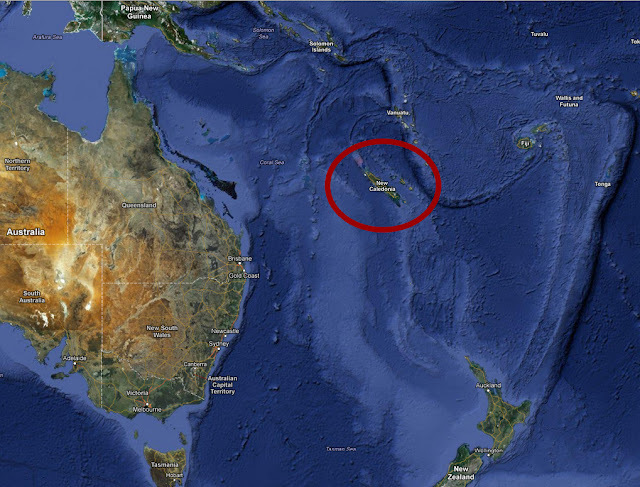 When I heard the FK8 call I knew it was a new DXCC and an island somewhere, but had no clue where. Even when the OM told me he was in New Caledonia I had only a vague notion of where he was. Google Maps helped to increase my topographical knowledge. Quite cool. 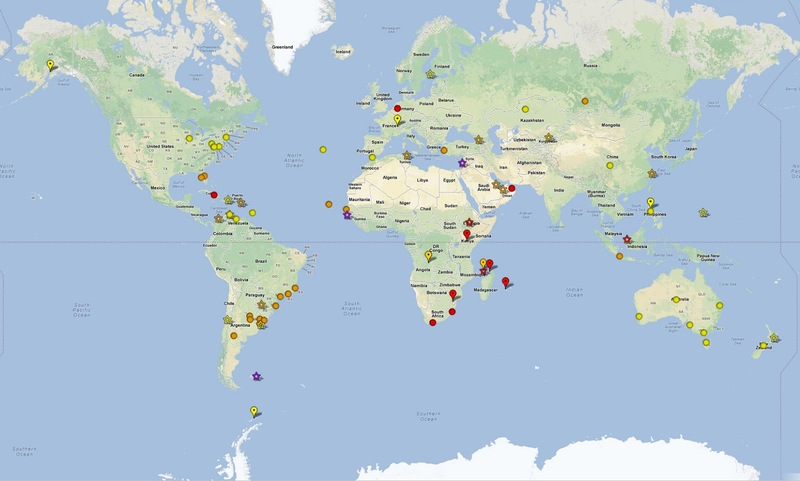 There are only a handful of Pacific Islands I have reached so far (HK0, KH0, KH2, KH6, ZL and now FK8). 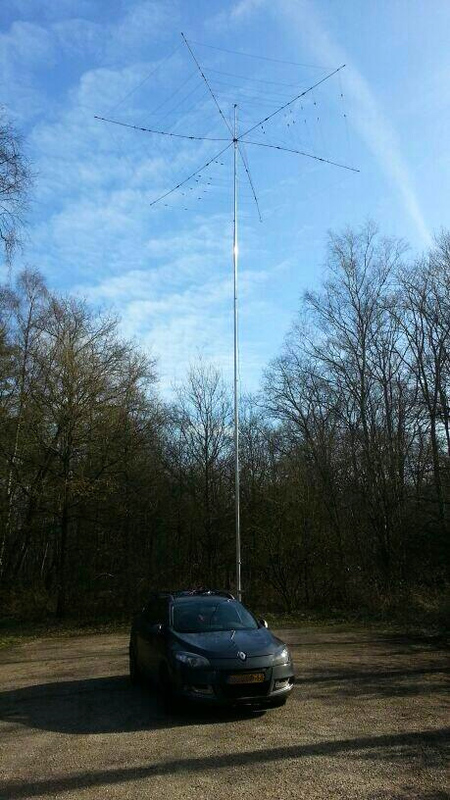 Last week Marcel PD7YY - a 10 metre enthusiast like me - put the high SFI to my attention. When I then read the Tony 10 metre report mentioning a short 10m contest on Sunday morning I started building support with the station manager for a few hours off on Sunday morning. I was successful and went out with a whole collection of radio stuff to an empty parking lot in Arnhem, just 10 minutes from where I live. It was from this spot that I was active in CQWW last year. The good thing about the location is that it is completely desolate in the weekends and has a clear path to all directions (from a 15 degrees take off angle point of view). 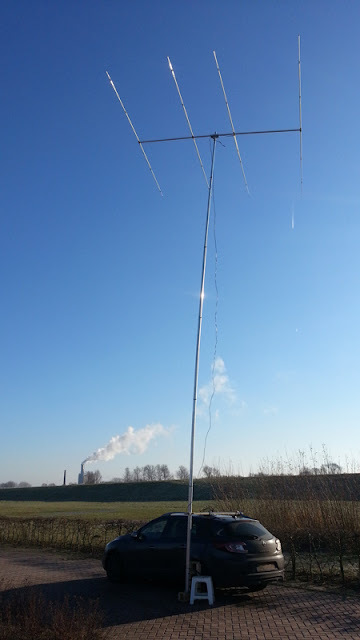 I had some difficulty getting my alu mast up as there was ice between the different segments (it was kind of cold that day). 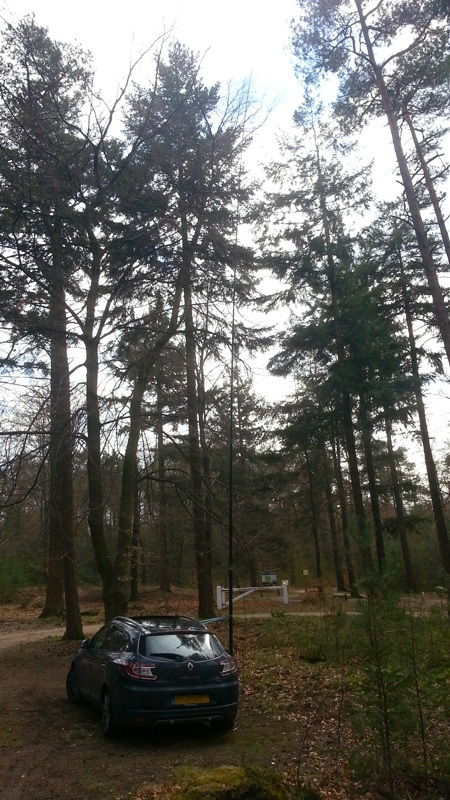 In the end I managed to set up my 4 element beam again at about 12m (40 ft) high. This time I brought a small amplifier I bought recently through ebay. It should be capable of putting out 400w PEP but I could not get it past 250w. This increase from the 100w the radio can provide is probably not worth the hassle of bringing an extra car battery. 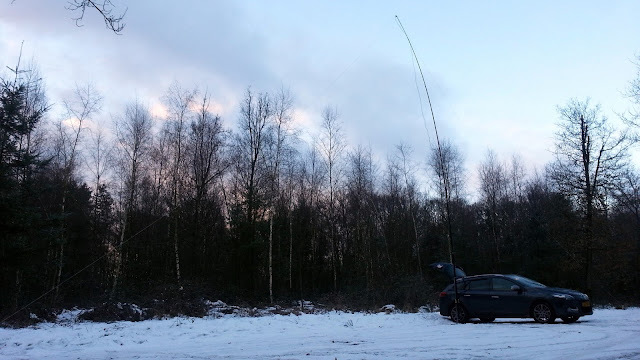 I handed out a couple of points and managed to contact R9, 9W2 and three VKs (VK3 and VK4). VK3XPT commented that I was the strongest station on the band. Now that is a first.. Of course it might have helped that all beams were pointing towards DL in stead of VK. Even taking into account the amount of time to set up and break down the station (about half of the total time I was out) it was a morning well spent. In the mean time the world has turned white over here. The layer of snow will probably spoil my weekly DX /P activity on Wednesday morning. Glad I took my shot of DX on Sunday. 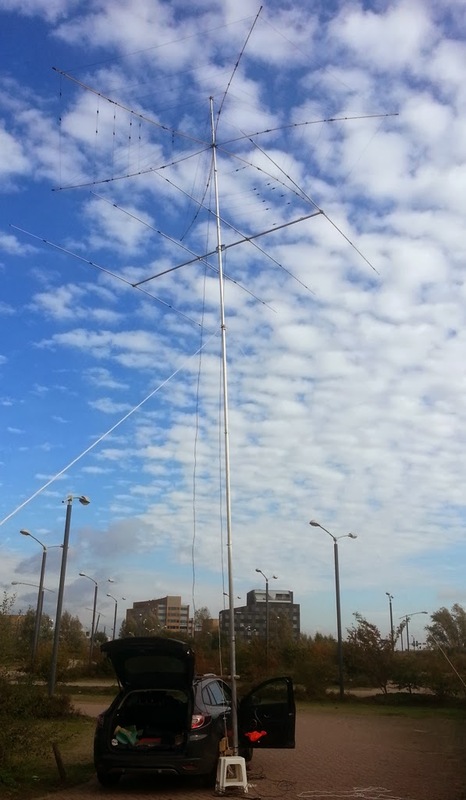 Triggered by the amount of fun I got from my 4 element 10m beam during CQWW last year and the results I now get with my portable hexbeam I am thinking about building more beams. Building a Cobweb(b) and putting together the DL1ELU folding hexbeam turned out to be feasible, so I am quite confident I can build other beams that will actually radiate. 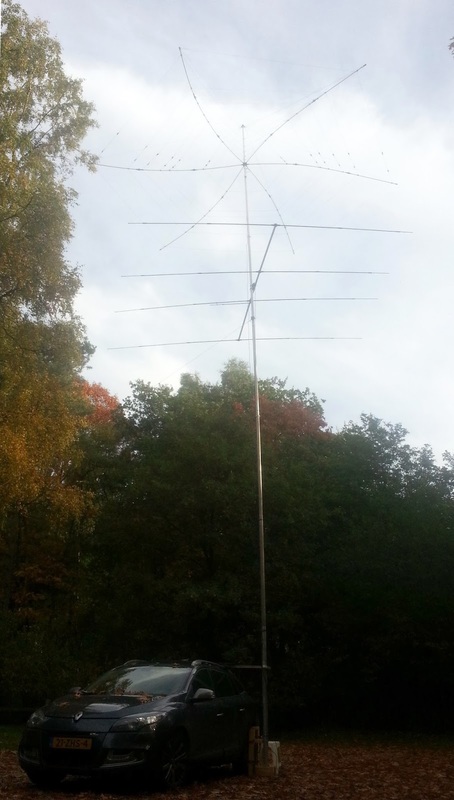 What I am thinking about is building a 4 element 15m beam for portable use. I found a very interesting compact design by G0KSC - the OM who developed the LFA beams. Mechanically I will have to implement some changes to the design to make it into a portable version. 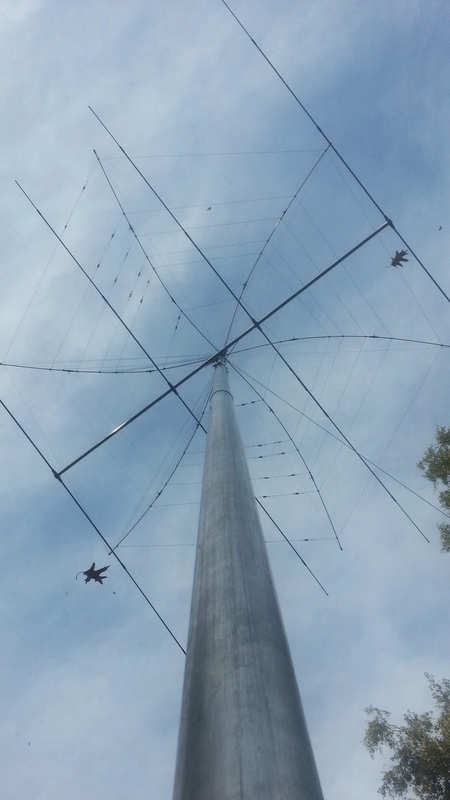 The reason for choosing a 15m beam is that the 10m band is closed most of the time (especially this time of the year) and I only have a few opportunities to go out and be radio-active (mainly Wednesday mornings). 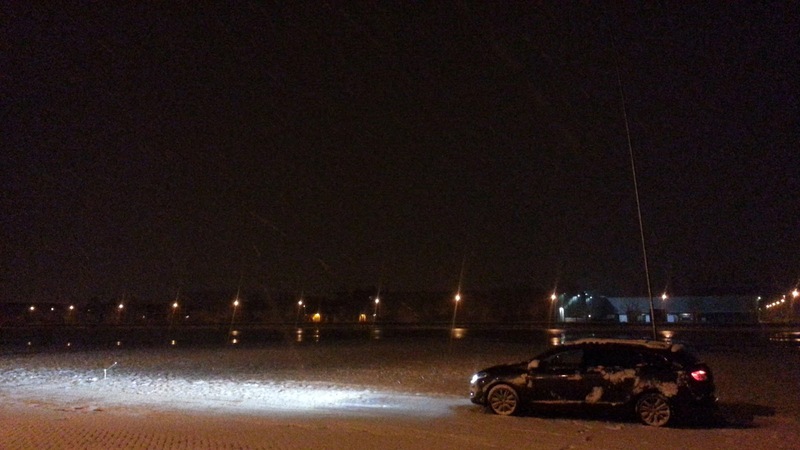 The chances of finding a lively 10m band at that specific moment are slim. 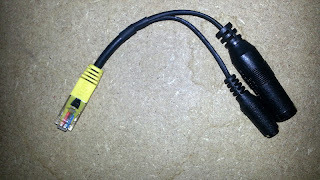 The same cannot be said of the 15m band. It is far more often open for DX. In that respect 20m might be an even better choice but I also have to take dimensions into account. As we are moving towards a sun spot minimum I am also considering a Moxon for 40m. My hexbeam covers 6m down to 20m. For 40m I now have the choice of a (shortened) vertical end fed or a full size inverted V. Both are not extremely effective for DX. More effective is my shortened dipole by Ventenna. 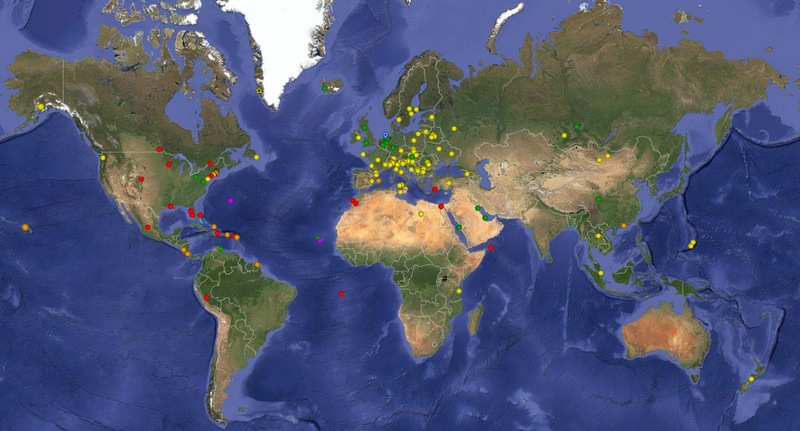 That recently got me across the Atlantic (RTTY contest). But it would be great to have a 2 element beam for this band. The challenge of course is how to design it in such a way that it becomes a truly portable antenna... something to think about this year..